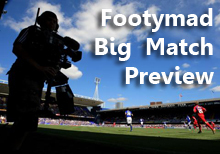 FM Preview: Alfreton Town v Forest Green Rovers 20 Apr 2013 - Forest Green Rovers Mad! Forest Green Rovers face a trip to Alfreton Town at North Street at tea-time on Saturday, and will hope to continue their unbeaten record at the ground. Rovers won the only previous game contested between the two teams. The only previous meeting between Alfreton Town and Forest Green Rovers at North Street was was two seasons ago, in August 2011, where Forest Green Rovers annihilated the Rovers 1-6 in a (Conference) Premier match. Alfreton Town are showing reasonable home form, having won four and lost two from the last six played. These high-scoring games have yielded a total of 15 goals for the Reds, with 7 goals against. Forest Green Rovers have an average recent record on the road, with two wins, two draws, and two defeats. A generous 6 goals have been both scored and conceded in this period. Forest Green Rovers find themselves in a respectable 8th position, courtesy of the 65 points they have accumulated from 45 games. Alfreton Town 13 games since last home draw. Forest Green Rovers 4 games since last away draw.